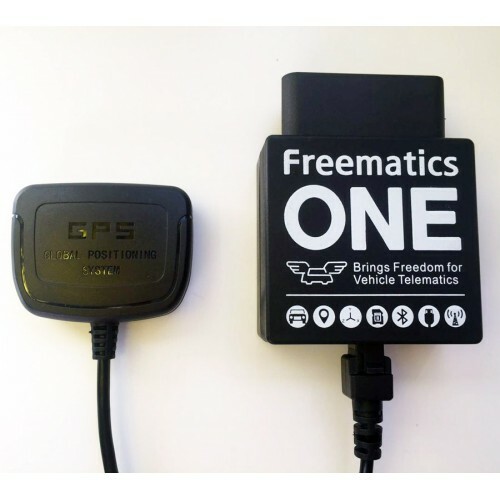 Freematics ONE is an Arduino compatible vehicle telematics prototyping platform, in form of a OBD-II dongle which plugs into a vehicle’s OBD-II port, with ATmega328 (same as Arduino UNO) as main controller having access to vehicle ECU, GPS, 9-DOF motion sensor and possibly external sensors. 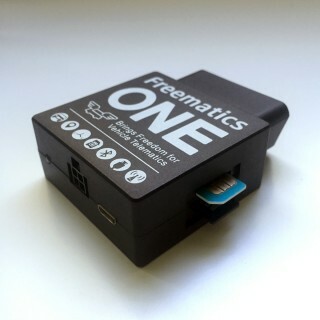 Freematics ONE is easy as Arduino to get started with right from Arduino IDE with dedicated Arduino library and example sketches. Vehicles using following vehicle protocols are supported. 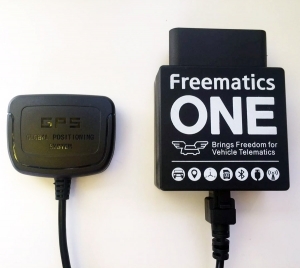 Freematics ONE supports geo-location positioning by external GPS receiver. 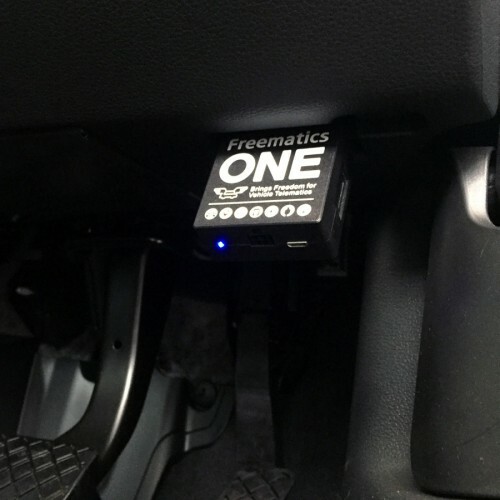 GPS receiver is connected to Freematics ONE's I/O socket by Molex connector. 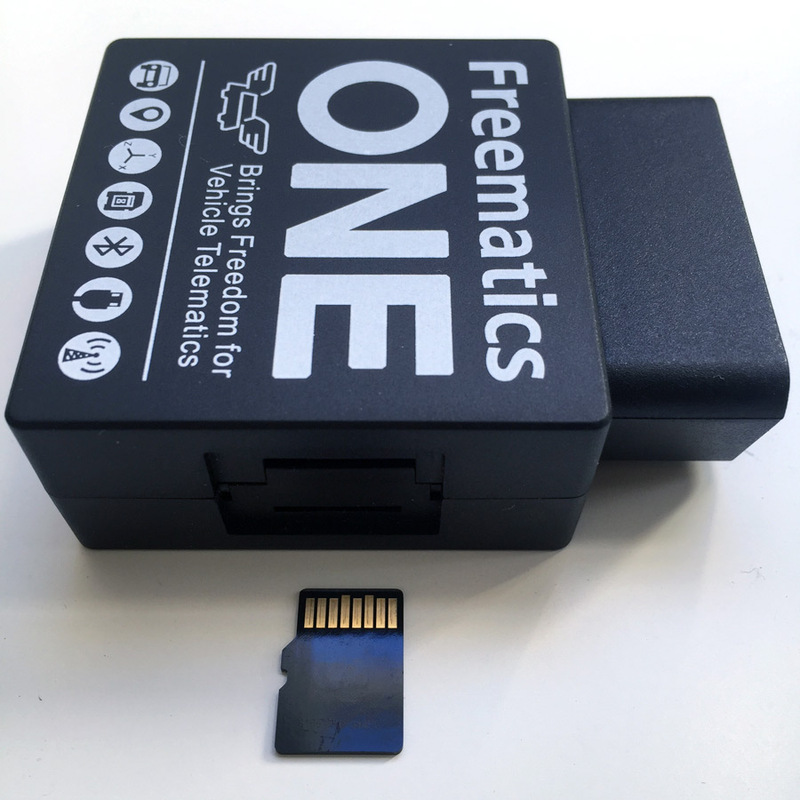 Freematics ONE has a microSD slot under the side cover. 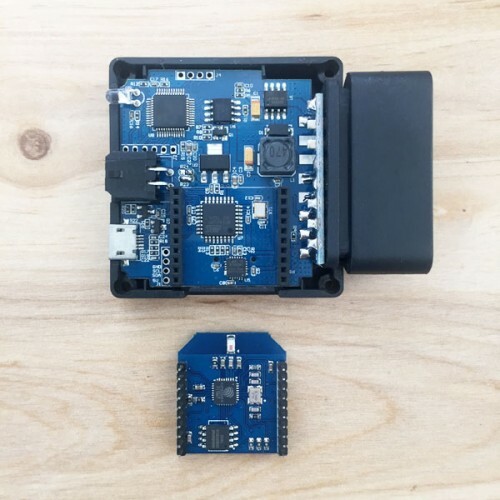 The card reader is connected to ATmega328p through SPI. 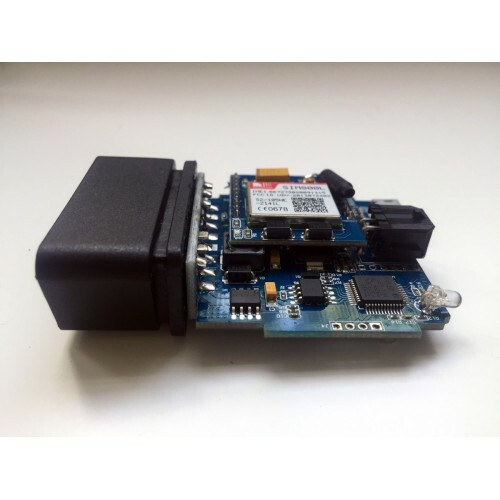 Standard Arduino SD library is used for microSD card access. Freematics ONE has an xBee socket onboard which provides the possibility to extend its wireless communication capability with various xBee module. 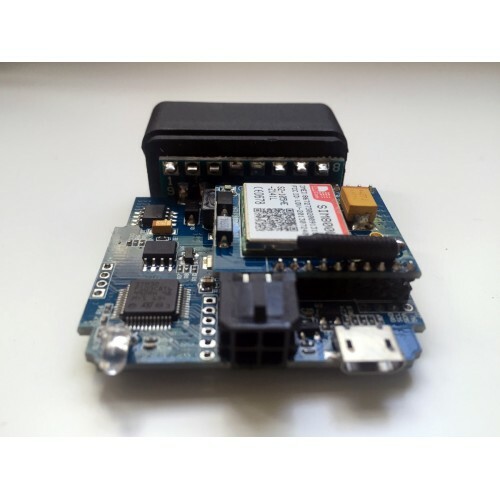 A ESP8266 WIFI bee adds WIFI connectivity (see this) or a SIM800L bee adds GSM/GPRS support. 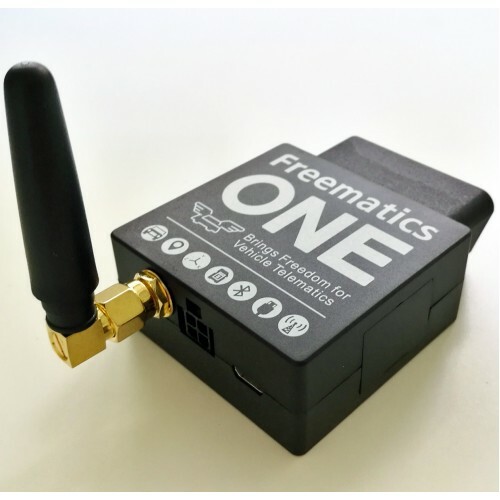 For 3G network connectivity, we recommend using Freematics ONE+. 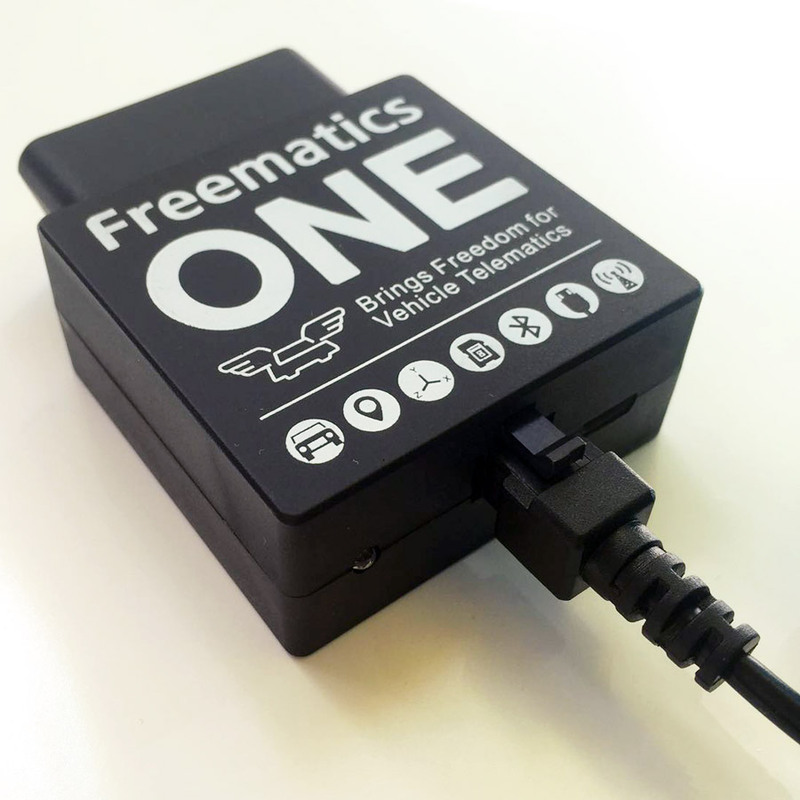 Freematics ONE has an optional embedded BLE module (TI CC2541) which allows transparent serial data communication over BLE. 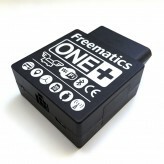 Freematics enters and leaves low power mode programmatically. 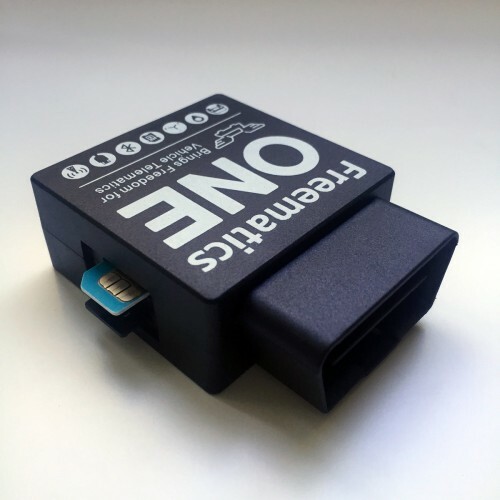 In low power mode with all peripherals (GPS, GSM, WIFI) powered off, the power consumption is around 10mA. 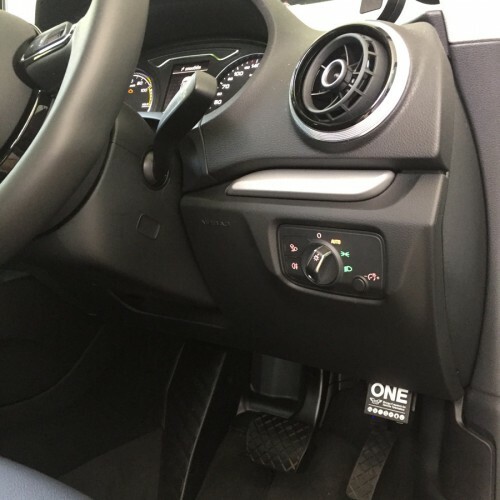 This prevents car battery from going flat while the main controller is still able to run code and perform low-power tasks like motion detection by MEMS sensor. Following is the PCB layout of Freematics ONE. 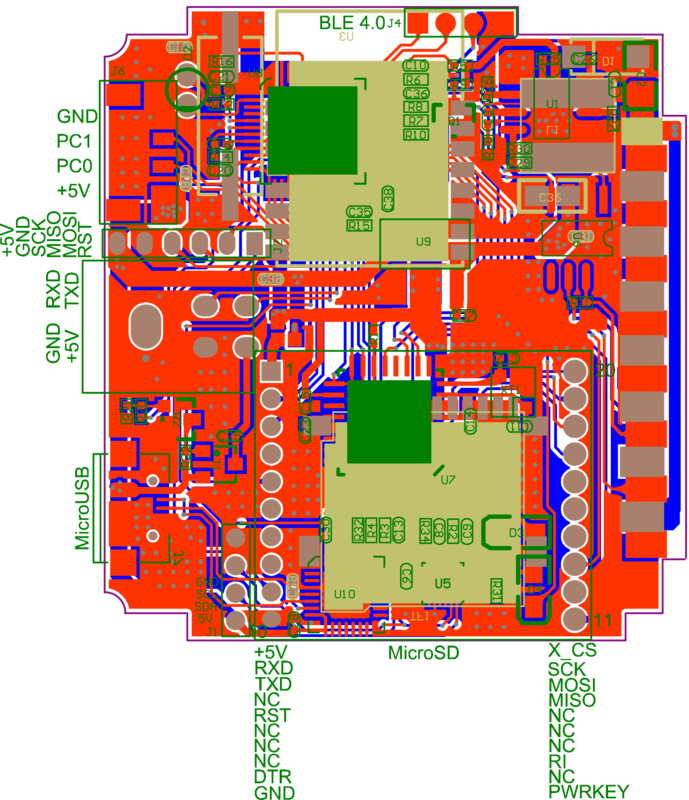 The schematic is here. 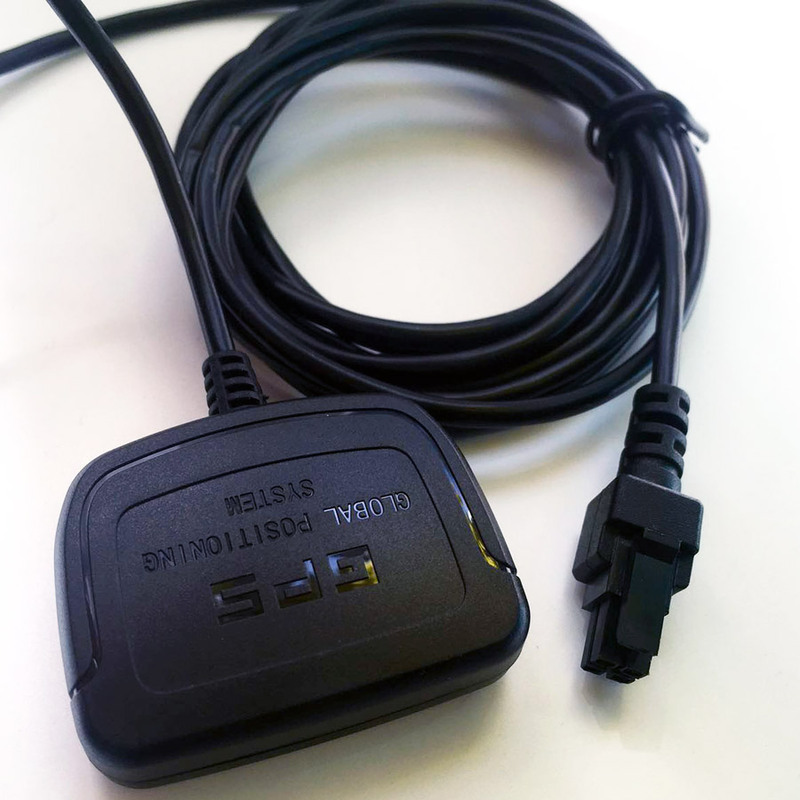 We supply head-less (without OBD-II male connector) version. Please contact for details. 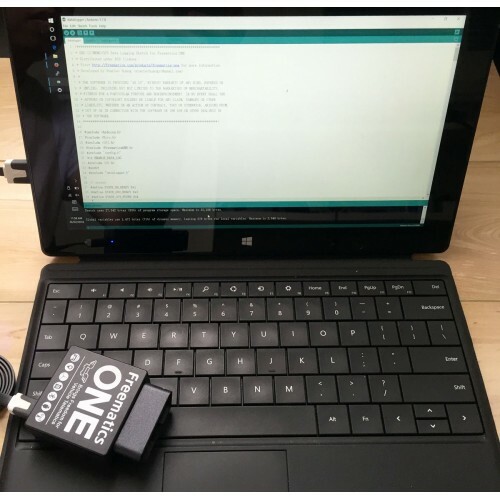 Two I/O pins (PC0, PC1 or A0, A1 in Arduino context) are led out to one corner of PCB. 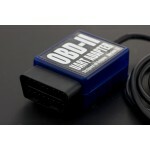 They can be used for digital I/O and analog input. 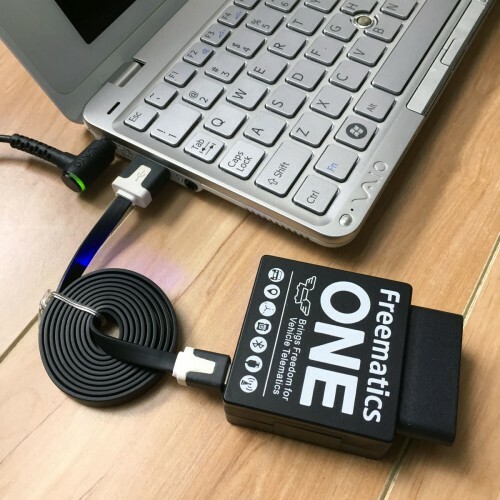 An Arduino sketch can be uploaded to Freematics ONE exactly the same way as for an Arduino UNO from standard Arduino IDE through USB port. 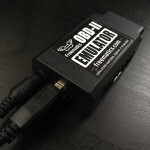 Please refer to the Users Guide for more related information.